For seventeen-year-old Emerson Cole, life is about seeing what isn't there: swooning Southern Belles; soldiers long forgotten; a haunting jazz trio that vanishes in an instant. Plagued by phantoms since her parents' death, she just wants the apparitions to stop so she can be normal. 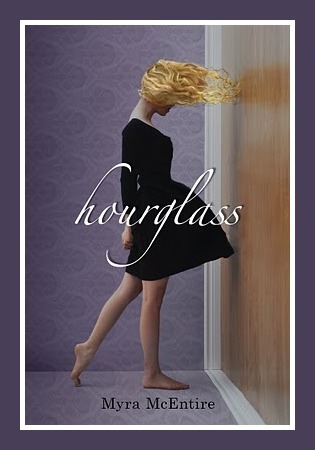 She's tried everything, but the visions keep coming back.So when her well-meaning brother brings in a consultant from a secretive organization called the Hourglass, Emerson's willing to try one last cure. But meeting Michael Weaver may not only change her future, it may change her past. Who is this dark, mysterious, sympathetic guy, barely older than Emerson herself, who seems to believe every crazy word she says? Why does an electric charge seem to run through the room whenever he's around? And why is he so insistent that he needs her help to prevent a death that never should have happened? Well, if you're worried that the story won't live up to the awesome that is the cover, worry no more. This book is fantastic! I love the story, I love the characters, I love the originality, and I really love Emerson. If you haven't noticed, I tend to like witty, snarky female main characters. Emerson Cole fits that bill well. I love when I can see myself in a character, but I think I like it even more when I can see myself being friends with a character. I can definitely see hitting it off with Em. She sarcastic, but her sarcasm is always aimed at herself instead of others. She thinks she just might be crazy, but she seems to take it all in stride. And boy does she know how to handle the guys! Speaking of guys. Usually I'm firmly on one side or the other, and it pretty much happens at the beginning of the book. That was SO not the case this time. When I met Michael, I immediately liked him and wanted him and Em to get together, then BAM, in walks Kaleb and all bets are off. There's just something about him that makes smile! I just love him! I did think the connection between him an Emerson was a little unrealistically fast, but how can I blame her for falling when I fell right along with her? The best part about this book, though, wasn't Emerson, or the handsome love interests, it was the originality of the story. I haven't read a time-slip novel before, but I LOVE the idea of it. I love thinking about all the little details, and what would change in the future if you messed with the past, and was it already messed up anyway? These are the things that blow my mind and keep me thinking for hours. And the plot twists and turns in this one keep you guessing up to the very end. For a list of blogs on this tour, click here, and don't miss the live chat with Myra on Mundie Moms June 30th! 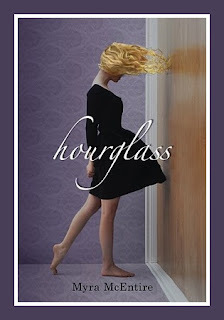 For more details, check out Hourglass on Parental Book Reviews. Ive been so excited to read this and your review made me even MORE excited!! I love how you write your posts, because i can always feel the genuineness (is that a word?) and kindness behind it =] Thanks for keeping me happy and reading. That may be the sweetest comment ever!! Thank you so much!! I agree this book was better than I expected and swoon over Michael. I loved that it wasn't insta love. of security which makes approval despite a low credit history possible. That's why; tons of formalities are just ignored by the bank Military Loans it is worth investing elsewhere than in a scheme which does no good despite additional investment.